A story of courage, unconventionality and lust for life. Vera Wasowski was just seven years old when German soldiers marched her family into the Lvov Jewish ghetto in Poland. She watched her father take his own life and her mother accede to sexual blackmail in order to ensure her and Vera’s survival. With unsparing honesty and the blackest humour, she recalls a world where the desire to survive was everything. 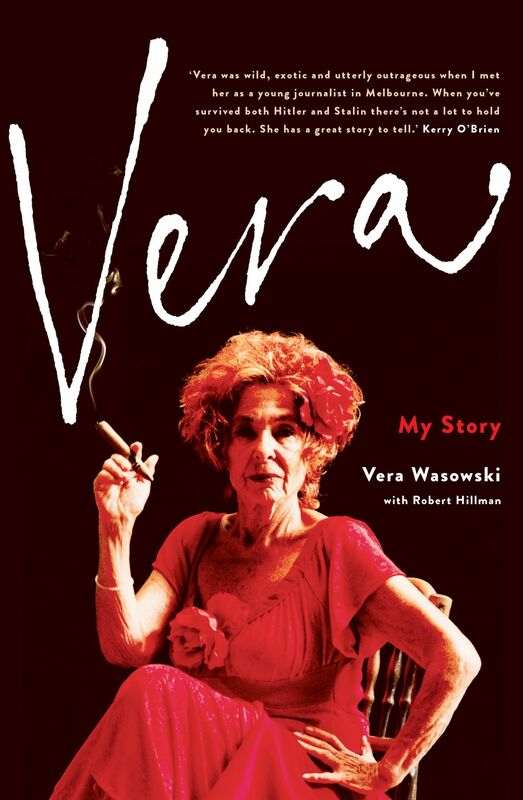 After the war, Vera studied journalism at Warsaw University, throwing herself into the bohemian scene. In 1958, she migrated to Australia with her husband and young son, to escape rising anti-Semitism. Here she would carve out an adventurous career as an ABC TV researcher and producer on pioneering programs such as This Day Tonight. It was a wild time for politics and the media, and Vera was at the centre of it all, mixing with the Hawkes in the 1980s, and forming a close friendship with artist Mirka Mora. In Vera, acclaimed biographer Robert Hillman has captured the fierce and passionate life of an amazing Australian.